To study law in Ukraine is the best option for all foreign students who are searching for their law degree program in Europe. WHERE TO STUDY LAW IN UKRAINE? Law is considered as very sensitive subject in Ukraine even all over the world and Ukraine emphasizes on this degree program much.Law degree program is taught at national universities in Ukraine by highly professional teaching staff specialized in the field of law. Law degree obtained from Ukraine is accepted all over the world and these law degree holders may work anywhere in the world with this degree.That is the reason for the arrival of many students every year for their law course study in Ukraine. For 2019-2020 also we are receiving already applications by international students who want to pursue their law course in Ukraine. To be admitted at law faculty all international students must hold a secondary school certificate. Foreign students prefer Ukraine to other European countries because the fee for law course in Ukraine is quite affordable and living expenses are much cheaper while comparing with other European countries. Law course is taught in two languages in Ukraine,Russian and English.Foreign students may choose their medium of instructions themselves which suite them. Those international students who are coming from countries where the national language s English prefer to study their law degree in English medium of instructions directly. Those foreign students who are coming from the countries where the national language is not English and they are normally not good at English join the preparatory course for the first year in Ukraine.This is 10 Months Russian language course at national universities. Upon completing their 10 Months Russian language course they join their law degree in Ukraine. 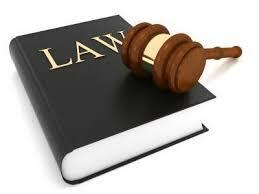 But still choice remain with the student to choose his/her medium of instructions for law program in Ukraine. International students who want to study their law degree in Ukraine must scan us their secondary school certificate with international passport copy for eligibility assessment.These required copies of the documents are scanned in the Email of the admission staff. These documents are assessed by the admission staff and the applicants are sent an Email notification for their eligibility or ineligibility. Eligible applicants for law course in Ukraine send their admission fee and scan the admission fee copy by bank to admission staff in Email they used to send their documents by scan. Ineligible international students are requested to send more documents for the completion of their admission procedure. Once admission staff receive the admission fee receipt copy in the Email,Their documents are forwarded to the Ministry of Education,Ukraine for the issuance of official study invitation which is required for the visa process at Ukraine national visa centers. Once applicants receive their official study invitation by Ministry of Education,Ukraine,They submit their visa file at Ukraine visa center in their country and collect their visas from the same visa center. Ukraine has established its national visa centers in almost all countries and now foreign students obtain their Ukraine study visa without physical appearance at Embassy of Ukraine. Interested foreign students who want to study law in Ukraine may contact us freely anytime for their 2019-2020 admission process.